Heartlinks Grief Center, a program of Family Hospice, assists grieving children, individuals, families, and groups through individual and family counseling, peer support groups, and other supportive community programs regardless of ability to pay. 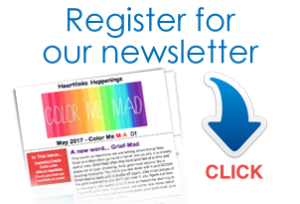 Heartlinks Grief Center helps grieving children, adults, families and groups move from grief to growth with a variety of programs both in our offices and in the community. Who can receive Heartlinks services? Anyone grieving the serious illness or loss by death of someone significant in their life can receive Heartlinks services. Heartlinks serves children, teens, adults, and families. Officially we serve a six county area in Southern Illinois – St. Clair, Madison, Monroe, Clinton, Washington and Randolph counties. Individuals and families from other areas use our services as well. Many schools, churches, mental health agencies and other human service programs use Heartlinks as a resource for information for their clients. I have never used hospice, can my family still get Heartlinks services? Absolutely! Heartlinks is an outreach program of Family Hospice. We are open to all even if they do not qualify for hospice or if they choose not to use hospice care. Most of the people we serve (98%) come from the community and never involved with hospice. Family Hospice started the program to reach people who needed support but for whom traditional hospice services didn’t fit their need. Many people use Heartlinks that have lost a loved one to accidents, illness, murder or suicide. My loved one is seriously ill, how can you help me? If you are confronting the change and scary times that come with a serious illness we are here for you. While most of our groups have a grief focus, we meet individually with families managing serious illness to help them find ways to cope and support one another. We have information packets we can individualize for you also. Call us and see what we have available for your particular need. Our services are open to all, regardless of their ability to pay. 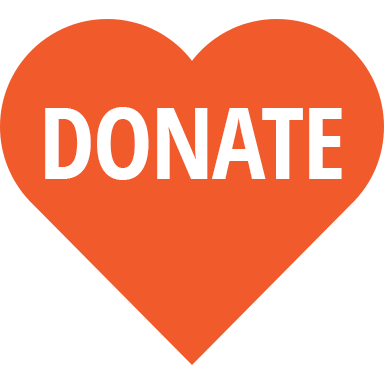 Services are supported by Grants, Donations, Fundraising, and Client Donation Co-Pays. We do not want finances to limit individuals and families from receiving services from Heartlinks. We can keep our costs free or low thanks to the active support of families, individuals, businesses and civic groups who help us by donating participating in fundraising events. I don’t have insurance; can I still come to Heartlinks? Heartlinks does not bill insurance. At Heartlinks, we believe in living we do not believe in adding a mental health diagnosis. We work hard to keep services low cost by donations, fundraising and events. My child seems fine, should they really attend a grief program? Your child is fine. But their life has changed and their peers mostly don’t get what they are dealing with so Heartlinks is a place where normal kids come to be with other normal kids who have had the not so normal experience of loosing someone they love. It is also a place where kids who have a loved one seriously ill can find support and ideas for handling a life problem outside of what most of us consider normal experience for kids. We offer programs for all ages and many different needs. We offer some individual and family services, groups and community programs. See the Services section for more information. How do I know if a support group is right for me? You can only know by trying. Come visit with our staff first get a feel for our program. When you a try a group anticipate the first group feeling uncomfortable, the second group being a little better and by the third group you will have a sense if this program is for you. If the group you tried is not the right thing, let the staff at Heartlinks know. We have connections to other programs and groups. We just want you to find the right place and we will help you find other resources. What sorts of activities do you do at group? At adult groups we talk, learn new coping strategies, share pictures and memories, and occasionally watch videos or share articles. At children’s group there is talk, learning, play, art, games and togetherness. Throughout the year we have traditional celebrations and activities. Call us at (618) 277-1800 to learn more and/or set up an appointment. Feel free to browse our site for other documents that might be useful to you. How long can I come to Heartlinks? You are welcome at Heartlinks as long as you need to be here. Most people attend regularly for over a year and then maintain contact. Because grief is an ongoing process, people stay in touch with us as they live with their loss over time and life changes. Some of our members go on to become mentors and help others after attending volunteer training. Some stay in touch via email or yearly events. I’d like to volunteer, what can I do? Visit the Volunteer Link to learn about volunteering at Heartlinks. I would like to make a monetary donation to honor my loved one, what should I do? As part of a non-profit organization, Heartlinks depends on your donations to keep programs running. Although outright donations are always welcome, we also have several opportunities for honoring your loved one through memorial donations. Donations of funds for group night meals are a great way to recognize your loved one. Click HERE to donate. Do you accept donations of gently used toys, furniture, etc.? Call us for details about our current needs at our Donations link or check our Wish list.